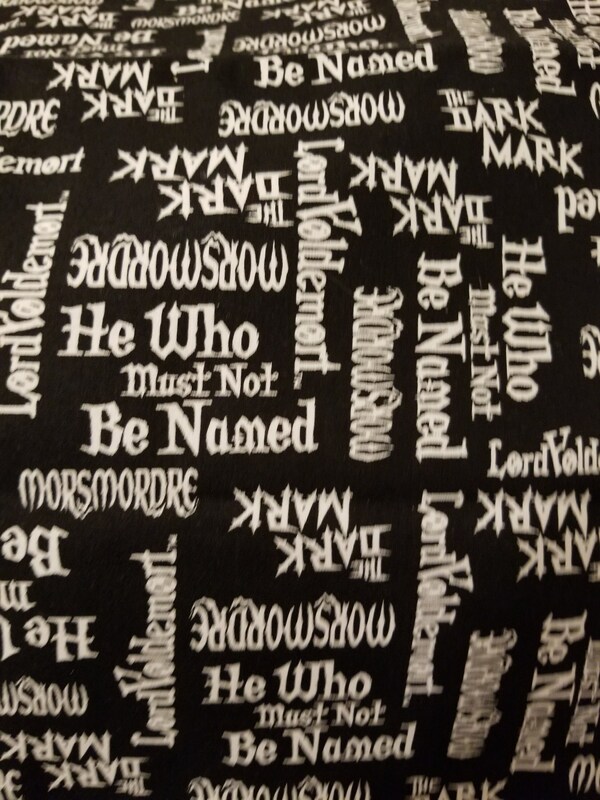 Novelty Harry Potter themed pillow embroidered with the design "'Deathly Hallows Always" design on the front side and Harry Potter themed cotton fabric on the reverse side. 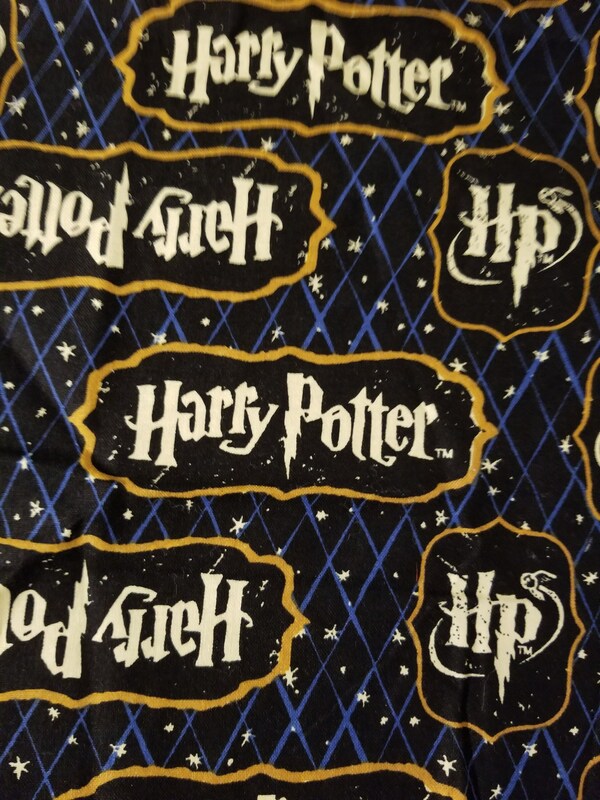 Please note due to availability of Harry Potter themed fabrics, we will use one of the shown patterns. 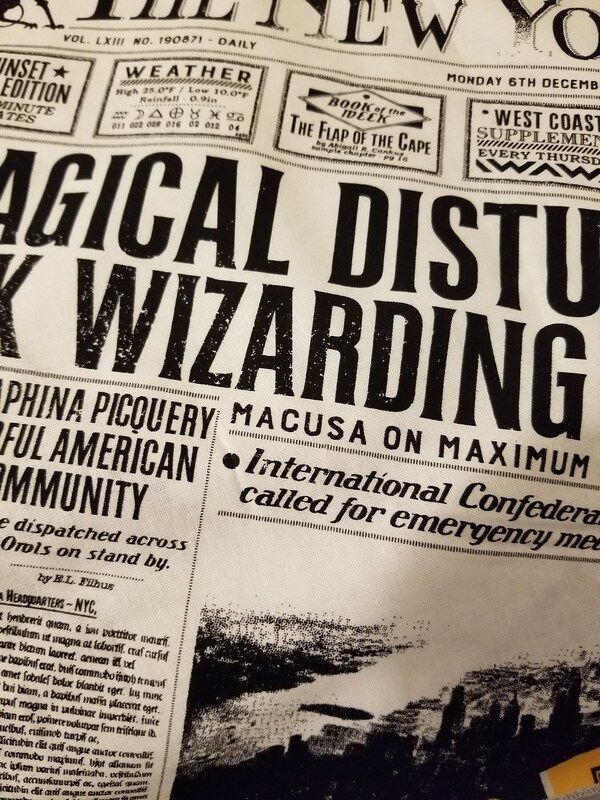 If you specifically wish one themed fabric only, please let us know in a comment to seller (special order). Pillow shown measures approximately 12 inches by 18 inches ($35) and is composed of cotton, cotton fleece and synthetic fabrics. 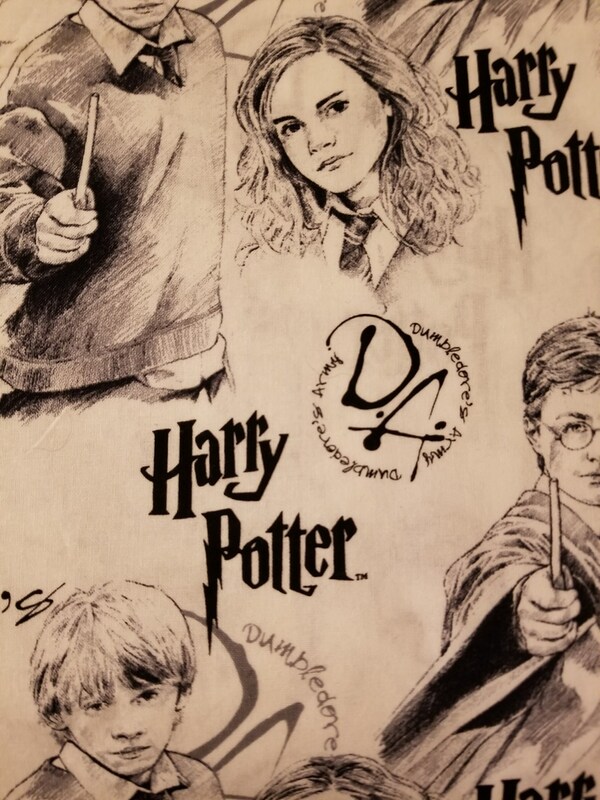 Additional sizes of pillow are available: 12" x 16" ($30) , 16" x 16" ($40), 16"x 24" ($40), 18"x 18" ($45), 20" x 30" ($50). The pillow's zippered closure located on the bottom of the pillow allows removal of the pillow form (which is composed of cotton and polyester fiberfill) for ease of cleaning. We suggest that the pillow be hand washed using a mild detergent and lay flat to dry. Do not use machine washer or dryer for cleaning. Embroidery is composed of high-quality rayon machine embroidery threads. 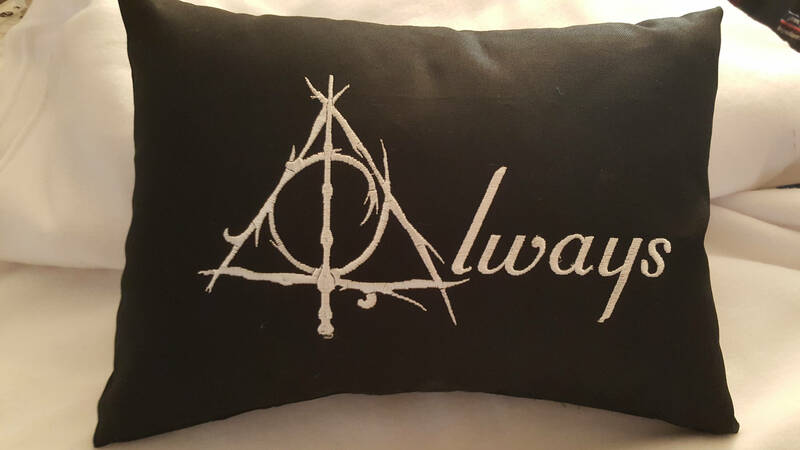 The pillow is excellent for any Fandom or novelty home decor as well as holiday gifting.